Inspired by the lightness, beauty, and strength of classic Gibson guitars, we created an innovative new “hollow-body” construction method for furniture. We were able to produce lightweight, rigid structures by fusing a molded multi-ply top skin with a peripheral fiberboard frame and bottom skin. The result is a work surface with contoured edges and superior strength that uses only half the materials of conventional solid work surfaces. 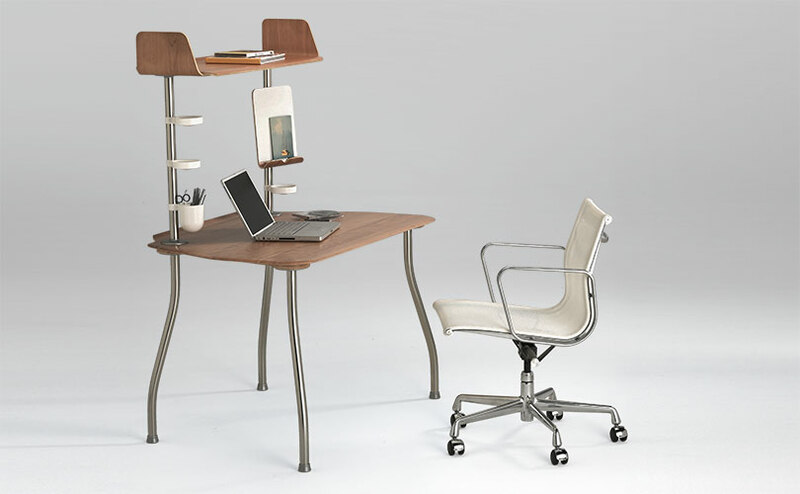 The new collection of home office furniture debuted at the 2004 International Contemporary Furniture Fair.